The beautiful coincidence of the solar eclipse – Life moves pretty fast. 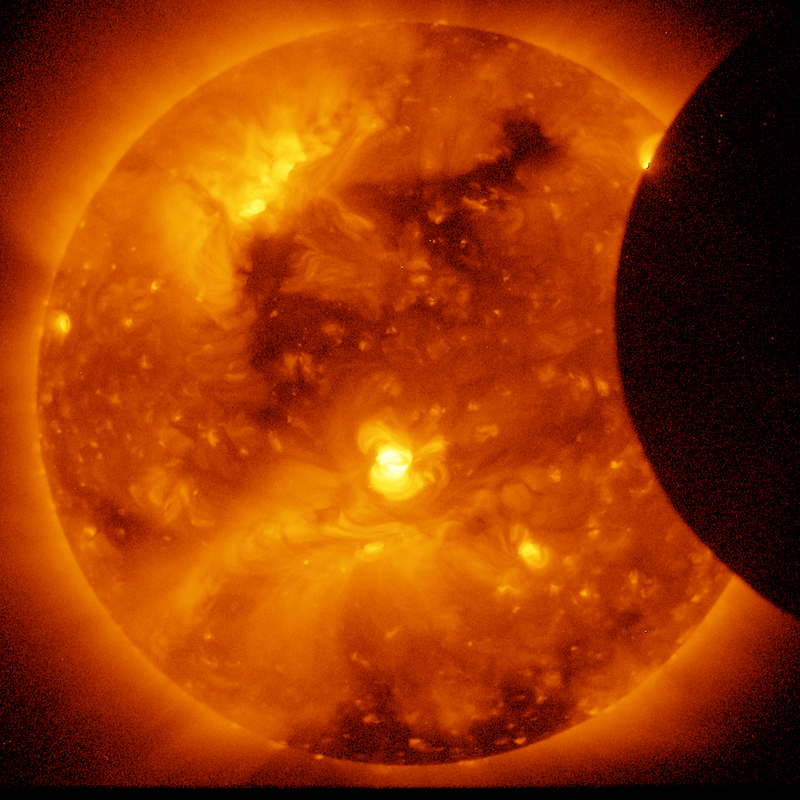 Roughly twice a year, the apparent positions of sun and moon coincide, and a fortunate few observers are treated to a solar eclipse. Watching such an event provides the opportunity to contemplate a strange coincidence: From the surface of Earth, the apparent sizes of the sun and moon in the sky are nearly equal. The sun is almost exactly 400 times larger than the moon, and it’s also almost exactly 400 times farther away. There is no particular reason why they should appear the same size, and it wasn’t always that way. The moon has been retreating from Earth since the mega-collision that created it, 4.5 billion years ago. We’ve measured its rate of retreat with the help of equipment left on the surface of the moon by Apollo astronauts: It’s presently receding at about 4 centimeters per year. 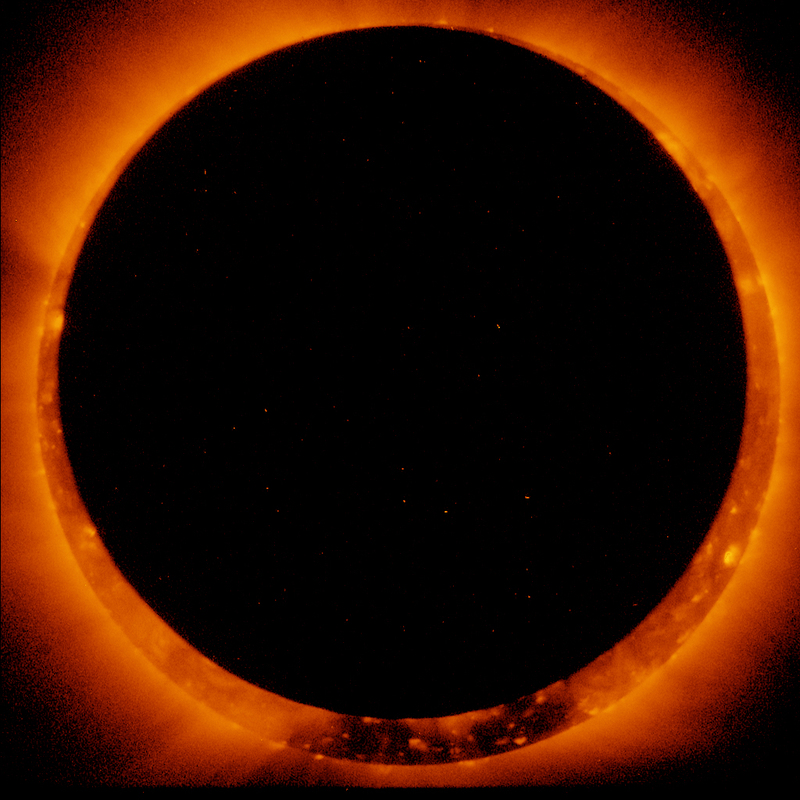 A billion years ago, it would’ve thoroughly covered the sun with every eclipse; now, depending on where the moon is in its elliptical orbit, some eclipses are total, but more are annular, with the moon appearing slightly smaller than the sun, leaving a “ring of fire” surrounding the moon (see image below). Fifty million years from now, the moon will have receded to the point that all eclipses will be annular.